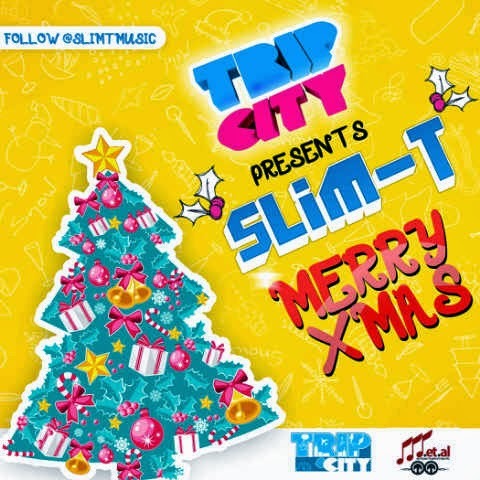 Trip City Entertainment’s newest signee Slim T unveils his brand new Christmas single titled “Merry Christmas” to celebrate his fans and supporters in this Yuletide season. After the huge success of his debut single “Die Representing” which featured a star studded line-up of Eva, Brymo, Skales and a host of others, Slim T is poised and ready to conquer 2012 and this new Christmas single “Merry Christmas” is the perfect way to show thanks and appreciation to everyone that has brought the young Nigerian rapper to this point. Produced by Ex-O, “Merry Christmas” is a slow-building gem led by lush keyboards, snyth arrangements and drum patterns as well as a beautiful harmonies from a Children’s choir over which Slim T flows effortlessly to reminisce over the essence of Christwish the listener a very Merry Christmas. This one is bound to leave a warm fuzzy feeling in that special place for every listener.